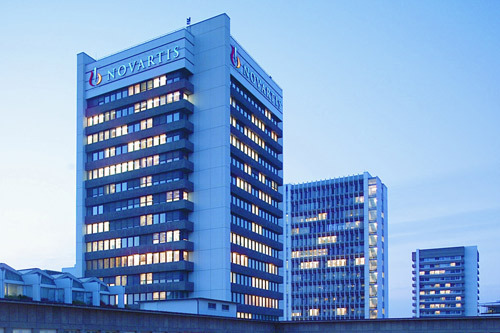 Novartis has claimed another regulatory milestone for its chronic myeloid leukaemia (CML) drug Tasigna (nilotinib), winning approval for its use to treat children in the EU. The European Commission approved the drug as a first-line treatment for paediatric patients with newly diagnosed Philadelphia chromosome-positive CML in the chronic phase (Ph+ CML-CP). In addition, the EC also gave the go-ahead for the same indication as a second-line treatment in paediatric patients with resistance or intolerance to prior therapy including its own Gilvec/Gleevec (imatinib). CML is a type of cancer in which the body produces cancerous white blood cells and almost all CML patients have an abnormality known as the Philadelphia chromosome, which causes malignant white blood cells to proliferate. The disease is responsible for approximately 10-15% of all adult cases of leukaemia, with an incidence of one-to-two cases per 100,000 people per year worldwide. The EC’s decision to expand Tasigna’s indications to include the treatment of children came on the back of two studies in paediatric patients with Ph+CML-CP, which had been part of a formal “paediatric investigation plan” agreed with the European Medicines Agency (EMA). In the studies, patients - aged two-18 years - with newly diagnosed CML achieved a major molecular response rate of 60% at 12 cycles. In patients with resistance or intolerance to prior therapy, the MMR rate was just under 41% at 12 cycles. The approval is the latest in a series of regulatory milestones for the orphan drug. Earlier this year Tasigna became the first and only drug of its kind to include information on stopping therapy in adult patients with Ph+ CML-CP in both the first-line setting and after switching from imatinib in the EU label.